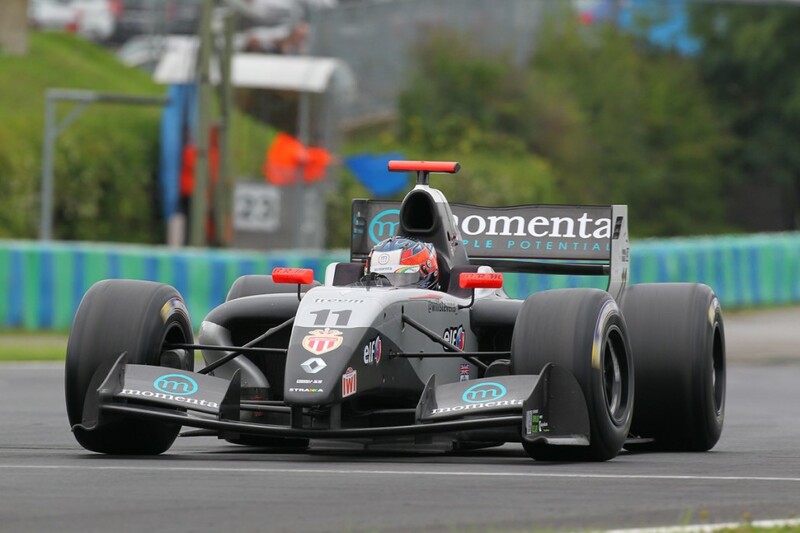 Strakka Racing’s Will Stevens bagged a welcome haul of points in rounds 12 and 13 of the 2014 Formula Renault 3.5 Series at the Hungaroring over the weekend, 13th/14thSeptember, to move back into the top five in the championship standings.With inclement weather having a big impact from the outset, coupled with issues linked to new brakes which were supplied for practice, Stevens did well to take a best of sixth place in race one.Team-mate Matias Laine, who was also compromised in testing with the brake problems, was the victim of first corner contact in race one but was able to finish in 13thposition on Sunday. In addition to the Formula Renault 3.5 operations, this weekend also marked the debut of Strakka’s new Eurocup Formula Renault 2.0 squad with reigning BRDC Formula 4 Champion Jake Hughes and BRDC F4 Winter Series Champion Matty Graham.The wet weather provided less than ideal conditions in which to learn car and circuit, but Hughes ended up with a best of 12thposition in race two – and fastest lap – while Graham had to settle for 19thplace in race one – each driver also posting a non-finish. Prior to round 12 of the Formula Renault 3.5 Series on Saturday, heavy rainfall resulted in a saturated track and a wet race was declared by officials. Stevens started in fifth place, having qualified just 0.4 seconds shy of pole position, and made a terrific start.Finding the grip he needed, the Briton surged into third spot on the outside line as the field headed to the first corner but he had to tuck back into fourth on the exit.Stevens held onto fourth place until lap five when Carlos Sainz Jnr was able to get past at the chicane, the move opening the door for Matthieu Vaxiviere to also get ahead of the Strakka car.Edged back to sixth place, Stevens remained there to the finish on lap 22 with the track getting progressively drier during the second half of the contest. Laine’s hopes of a strong run from 10thon the grid were dashed at the first corner when he was tagged by Zoel Amberg, resulting in a puncture. The Finn was able to crawl to the pits and although able to rejoin with a fresh tyre, he pitted again to retire on lap four. For round 13 on Sunday, Stevens lined-up 12thon the grid and made another excellent start to scythe his way through into eighth position prior to the emergence of the Safety Car.Racing resumed after five laps and Stevens then took his pit-stop on the seventh tour. When the race order settled down following the stops, he held 10thplace where he remained to the finish.Laine, beginning the race in 18thposition, didn’t have the most straightforward of contests but impressively battled his way through into 13thplace – just six seconds shy of the points.“It’s been a very difficult weekend, not helped by the brake problems caused by the new parts,” explained Stevens, “Fifth in qualifying on Saturday was actually not too bad, the race was very wet though and the grip was really down. “Wet qualifying on Sunday all came down to the last five minutes, some drivers got an extra lap but we missed out. That meant the race was always going to be difficult but the pace was good. It’s not been the best weekend, so we look forward to Ricard now.”Laine added: “The brake issues on Friday meant we had no laps. My start to race one was good but I got hit by [Zoel] Amberg and had a puncture. Strakka Racing couldn’t have a selected a more challenging event in which to debut its new Eurocup Formula Renault 2.0 outfit, with the continually changing wet weather making for a very tough weekend.For race one, Hughes qualified 18thfastest and although passing was at a premium on the tight Hungaroring track, he did gain a place before being forced to retire on the penultimate lap due to damage sustained from an errant rival in the mid-pack.Graham, beginning race one from 22ndplace, had a largely uneventful contest but did manage to work his way into the top 20 with a 19thposition finish. Hughes enjoyed a strong race from 19thon the grid on Sunday to finish in the top 12. Gaining three places on lap one alone, the British driver was up into 14thprior to the appearance of the Safety Car on lap three.Over the last five laps he sliced his way through into 12that the flag and was within just 0.4 seconds of the points and impressively posted the fastest lap of the race.For Graham, his race unfortunately came to an all-too-early end on the opening lap when a great start came to nothing after being unceremoniously wiped out by a rival.Reflecting on the event, Hughes said: “Practice was very wet and it was my first time running in the car in the wet, so there was a lot to learn. What was very positive was the comparison between the start of testing and the end in terms of car balance. “We had extremely good pace in race one, or potential pace, as I was stuck behind people the whole race. It ended badly with a poor manoeuvre in the braking zone from a driver in front. We made a good improvement with the car for race two though.”Graham commented: “We had a very difficult weekend, I didn’t go to Hungary expecting a podium but I thought we could have been mid-pack. The weather made the one practice I had harder, then qualifying was in mixed conditions and race one was probably one of the hardest I’ve had as I had to learn the track in the dry. Paul Ricard in France will host the penultimate event of the World Series by Renault season on 27th/28th September. From early domestic campaigns with BMWs and Aston Martins, Strakka Racing has evolved to become one of the most respected and successful privateer teams in the World Endurance Championship. In 2010 the Silverstone-based team achieved a class win, five circuit records and fifth overall in the iconic Le Mans 24 Hours. 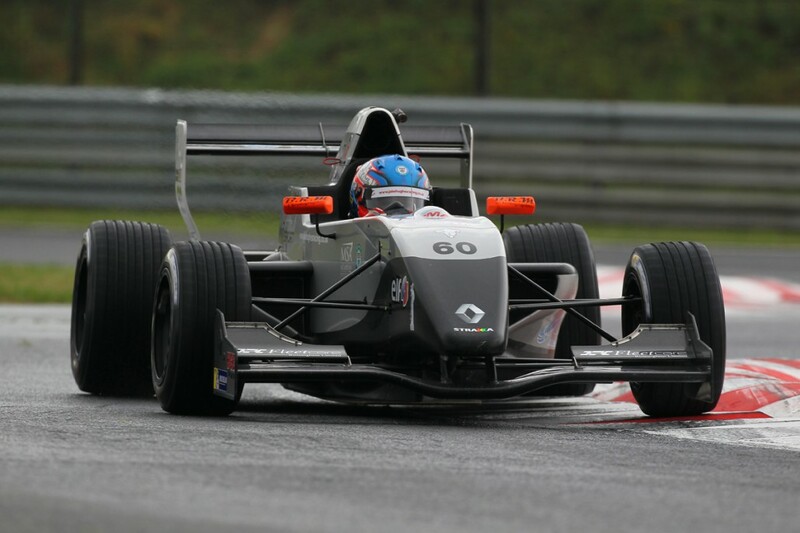 Ever developing, in 2013 Strakka Racing entered the Formula Renault 3.5 litre World Series single seater championship, regarded as one of the best training grounds before F1. In 2014 Strakka Racing joins forces with esteemed Japanese chassis manufacturer DOME to develop, market and race the Strakka DOME S103 LMP2 chassis. Alongside the racing teams, it also runs Strakka Performance, providing professional racing drivers with bespoke programmes aimed at enhancing their on-track performance with dedicated track time and coaching in World Series by Renault cars. It has also created Zanardi Strakka Kart racing team and a Formula Renault 2.0 team, putting in place the building blocks to enable racing drivers to develop and refine their skills right from the start of their career, with a support infrastructure that goes beyond any typical racing team.